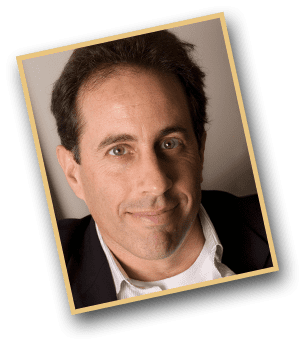 There’s no doubt that this has to be one of the advertising “coups of the decade” – scoring worldwide superstar, Jerry Seinfeld, to front the Marketing Campaign for John’s client, the Greater Building Society from mid 2009! Jerry Seinfeld knocks back dozens of requests every week from companies around the world, seeking his endorsement of their products. Jerry has only ever lent his image to two other advertising campaigns throughout his career, namely for American Express and Microsoft – both companies being a little larger than the Greater Building Society in Australia! The Jerry Seinfeld relationship was conceived and negotiated by John – and the whole process was one which was very strategically driven from start to finish. During 2008, John had recommended to the Greater that it should consider a “high-profile global personality” to front its marketing campaign for the next few years. The Greater is placed at 151 in the Top 500 Private Australian Companies (according to the latest BRW Magazine statistics) and has over $4 billion in assets – so it is a serious player in the Australian Financial Marketplace. However, when compared to Jerry’s previous associations, namely American Express and Microsoft, it is a regional business entity, a long way from Wall Street. 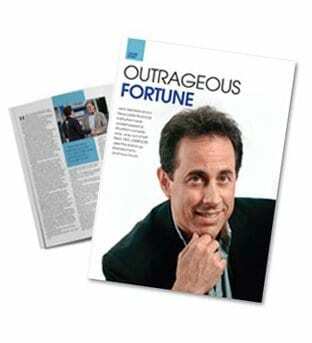 Nonetheless, John lives by the “wow factor principle” and set his target pretty high, namely Jerry Seinfeld! After spending a lot of time on research throughout the later part of 2008, John gained the support from the Greater and put together a “wish list” of potential celebrities that would fit the bill. It was important that the Greater chose a celebrity who was symptomatic of its own brand personality, someone who was perhaps a little cheeky, but at the same time was family orientated, cared about others and lived by a set of admirable values. Once having drawn up a list of “potentials”, it was no surprise that Jerry Seinfeld was at the top of the list. He’s an entertainment icon – and one who has a squeaky-clean image and being one of the biggest names in the world, would deliver instant brand awareness to the Greater. When researching Jerry and his management, John recognised that when you are dealing with someone like Jerry Seinfeld, “money” is not really the prime issue. 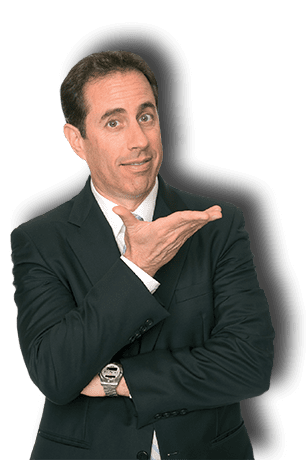 Seinfeld knocks back dozens of advertising pitches regularly, simply because the companies want him to read from a set script or play a particular role which he doesn’t feel comfortable with. In the instance of the Greater, John pitched him to “simply be himself”. The campaign theme is “Just Ask A Greater Customer” – because the Greater was anxious to continue the very successful formula of its previous ad campaigns, being testimonials from real customers. John explains “with Jerry’s assistance, we were able to weave the customer comments into the fabric of the TV commercials, as the customers become passers-by in the streetscape where Jerry performs outside a Greater branch. 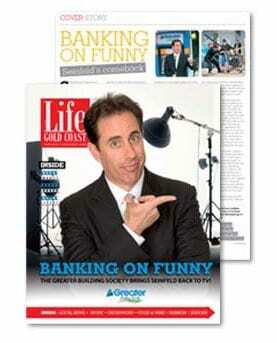 Jerry’s gags are related to typical banking topics such as fees, small print, satisfaction and free stuff. And when I say free stuff, we all know that you don’t get any freebies from a bank!” The TV commercials were shot in a small town called Cedarhurst, about an hour out of New York. They were shot in early May and the campaign launched on Australian TV in early June, 2009. Even after just a couple of weeks of the campaign, the Greater’s “brand awareness” was sky-high, largely courtesy of a massive publicity burst right around Australia, once news got out. John explains “we knew that the announcement of this marketing coup would generate quite a bit of publicity, but the volume of press, TV and radio which we received was mind-blowing! The Greater’s CEO, Don Magin and myself, were doing TV, radio and press interviews for 3 days straight, virtually nonstop. Whilst the Australian media loved the story, it was the clever press releases from John and his P.R. partners which fuelled the publicity whirlwind in the first place. This “coup” not only attracted massive coverage from traditional media, but also incredible publicity via Google and You Tube. Within days of the launch of the campaign, the Greater’s postings on Google had jumped from a previous high of less than 1,000 to an incredible 5.4 million! In other words, if you typed into Google “Greater Building Society/Jerry Seinfeld”, you came up with 5.4 million postings from around the world! News about Jerry Seinfeld travels at lightning speed in the United States on the first day of shooting, the giant CBS Network sent a camera crew to Cedarhurst to grab the scoop on this “comeback to the small screen” by a comic legend. As Jerry was understandably busy shooting the commercials, the CBS crew asked John for some comments – & the segment ran that night as one of the lead stories on the CBS 6pm national news!! Industry experts were contributing blogs on the internet and the whole campaign launch benefited from massive viral marketing right around Australia and indeed, the world. CEO of Leo Bernett Advertising Agency in Sydney, Todd Sampson, commented in a Fairfax Publication “My understanding is that the Greater is a business that has been operating in Australia for 60 years, but we’d barely heard of them. Now, everybody’s talking about them! Once again, John demonstrated that no goal is too high and that we should all strive to achieve “a wow factor” to help differentiate our business from competitors. The coup scores national TV exposure on all networks! JD’s coup of getting Jerry for the Greater’s marketing campaigns attracted huge interest from all media. 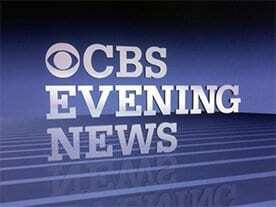 Press, magazines, radio stations and TV networks all covered the story. 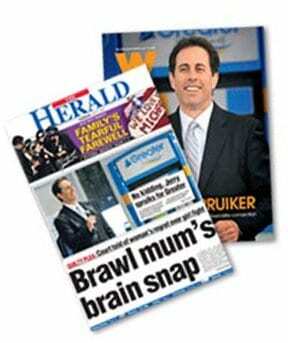 It was big news, as Jerry had only ever done two advertising campaigns up till then – for Amex and Microsoft! To enjoy some of this media coverage, click the link. simply click on any of the You Tube links below.